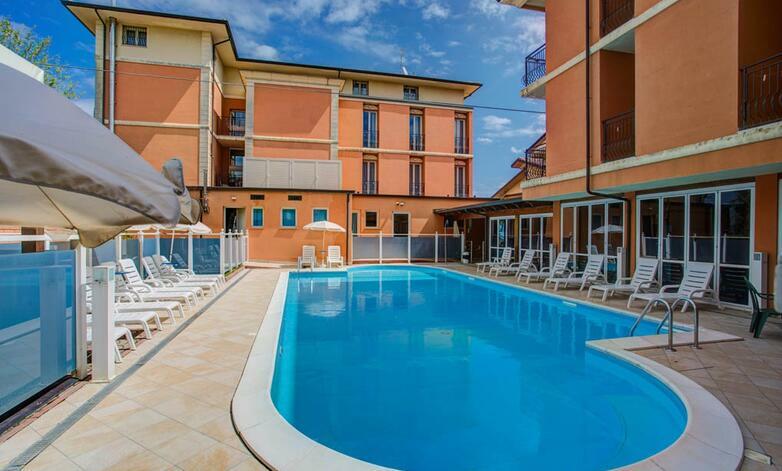 Hotel De La Ville is an elegant and comfortable 3 star hotel situated by the sea in the area of Cesenatico. The facility, recently renewed in environments and services, is managed with passion and professionalism since 2017 by the Magi family. 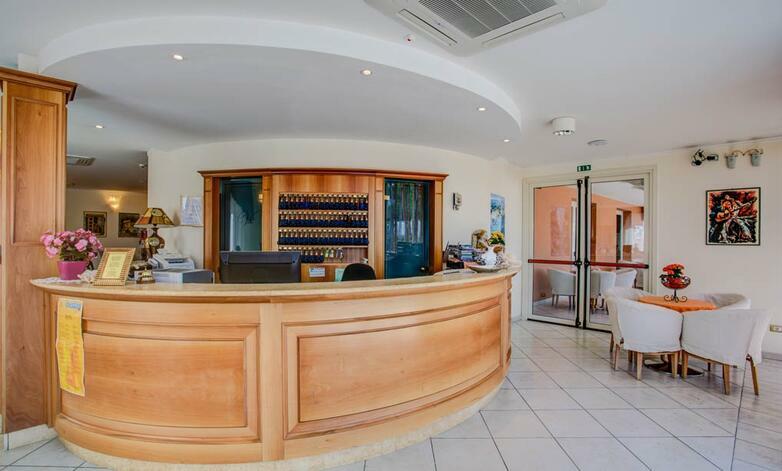 A privileged position just two steps from the beach and close to the centre, quality services especially dedicated to families, a splendid swimming pool and excellent cuisine make Hotel De La Ville the ideal destination for those who want a holiday of relaxation, wellness and fun. 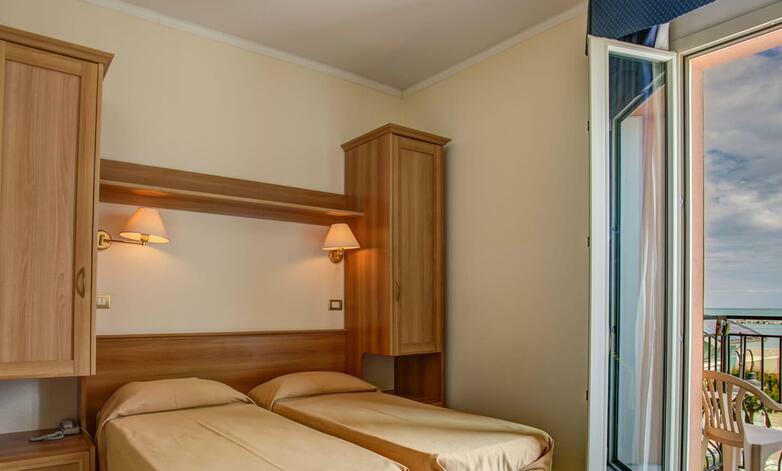 The rooms of the hotel are spacious, functional and bright, are equipped with private bathrooms with shower, TV and balcony, some of them have a wonderful sea view. The pride of the Hotel De La Ville is its beautiful outdoor swimming pool for adults and children, where one can regenerate thanks to a refreshing swim, enjoy a drink or a sun bath. For sports enthusiasts a nice gym where to keep in shape is also available. 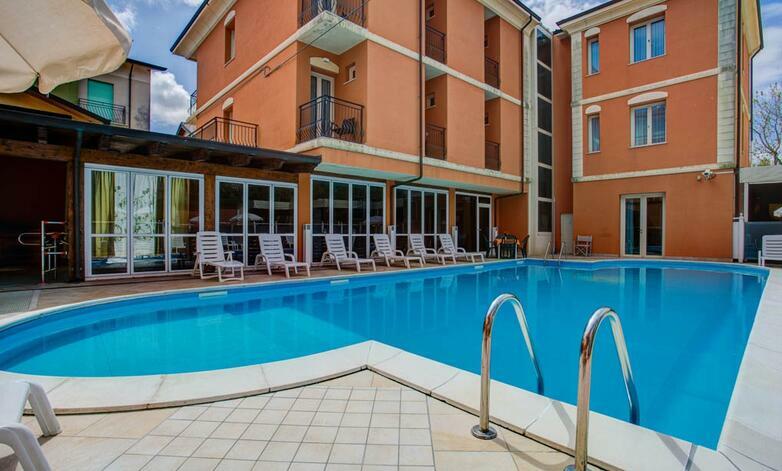 There is a sauna for intense moments of relaxation, while for children, indoor games room for recreational and ludic activities are available. At the Hotel De La Ville the day starts with a delicious breakfast buffet with many sweet and savoury proposals in order to satisfy all tastes. 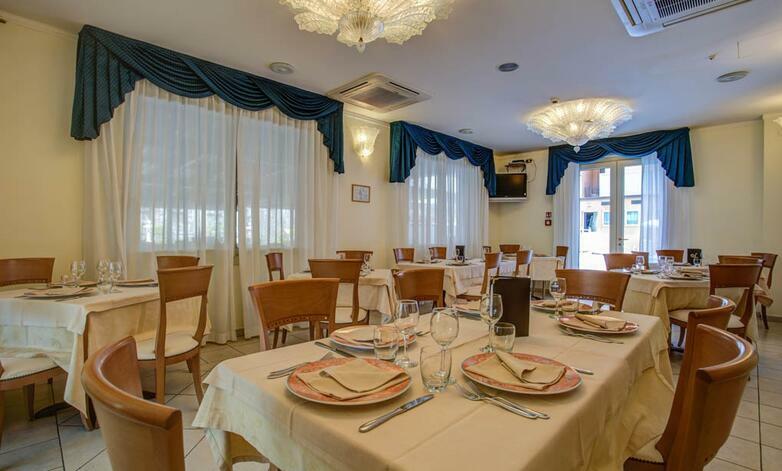 For lunch and dinner guests are delighted with the best dishes of the Romagna tradition based on fish of the Adriatic Sea and meat. 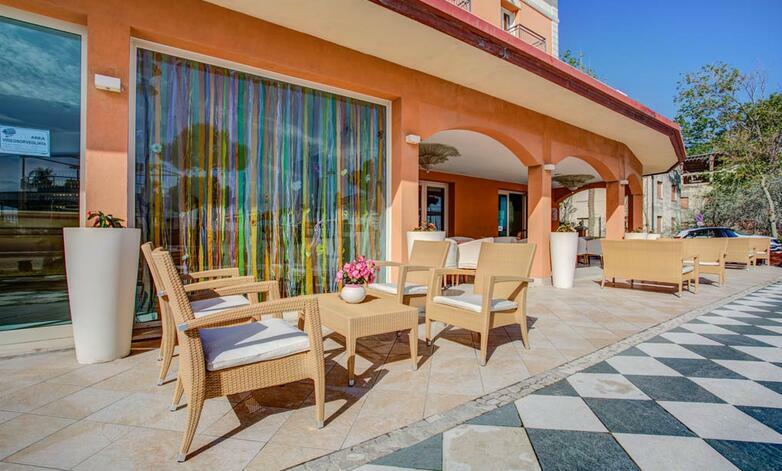 Do not miss the buffet of appetizers and vegetables, the pasta dishes with homemade pasta, the delicious main courses and the gourmand desserts. Everything served with the best local wine of famous national brands. We organize tasting evenings and theme parties on a weekly basis. On request we prepare menus for children and for those who have special dietary requirements or suffering from gluten intolerance. 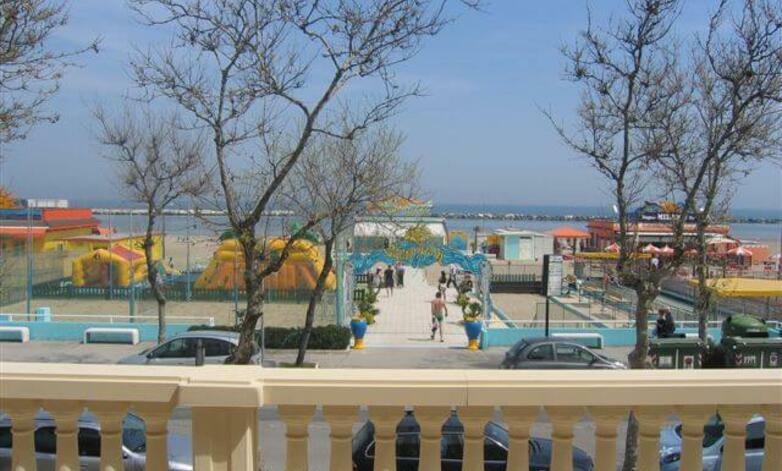 The beach is located just opposite the Hotel De La Ville and it is easily reachable on foot. 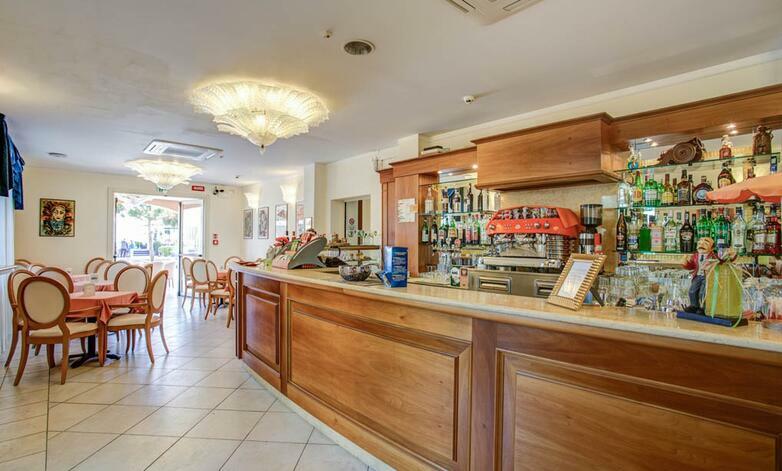 At guests disposal there are bathing establishments with services for the whole family, play grounds, entertainment, sports fields, bar and restaurant. At the Hotel De La Ville children are always special guests. For them many dedicated services in the hotel, in the restaurant and in the room, including bed railings, baby coats, baby bath tubs, baby cutlery, highchairs, flexible meals hours, baby food and fresh broths, animation and baby dance, games room and paediatrician on request. 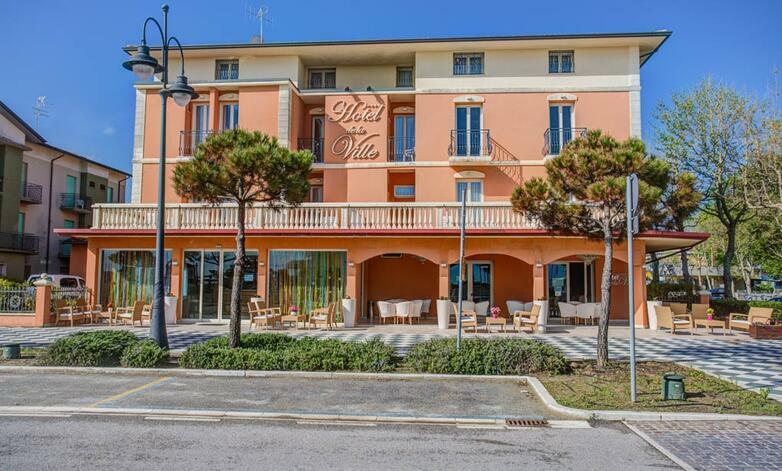 The offer of the Hotel De La Ville is completed by the following services: agreement with amusement parks, Wi-Fi, bicycle hire, air conditioning and heating, affiliated beach and beverages always included with meals in the all-inclusive treatment.